This monograph studies the logical aspects of domains as used in de- notational semantics of programming languages. 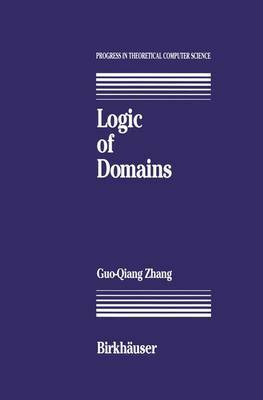 Frameworks of domain logics are introduced; these serve as foundations for systematic derivations of proof systems from denotational semantics of programming languages. Any proof system so derived is guaranteed to agree with denotational se- mantics in the sense that the denotation of any program coincides with the set of assertions true of it. The study focuses on two categories for dena- tational semantics: SFP domains, and the less standard, but important, category of stable domains. The intended readership of this monograph includes researchers and graduate students interested in the relation between semantics of program- ming languages and formal means of reasoning about programs. A basic knowledge of denotational semantics, mathematical logic, general topology, and category theory is helpful for a full understanding of the material. Part I SFP Domains Chapter 1 Introduction This chapter provides a brief exposition to domain theory, denotational se- mantics, program logics, and proof systems. It discusses the importance of ideas and results on logic and topology to the understanding of the relation between denotational semantics and program logics. It also describes the motivation for the work presented by this monograph, and how that work fits into a more general program. Finally, it gives a short summary of the results of each chapter. 1. 1 Domain Theory Programming languages are languages with which to perform computa- tion.